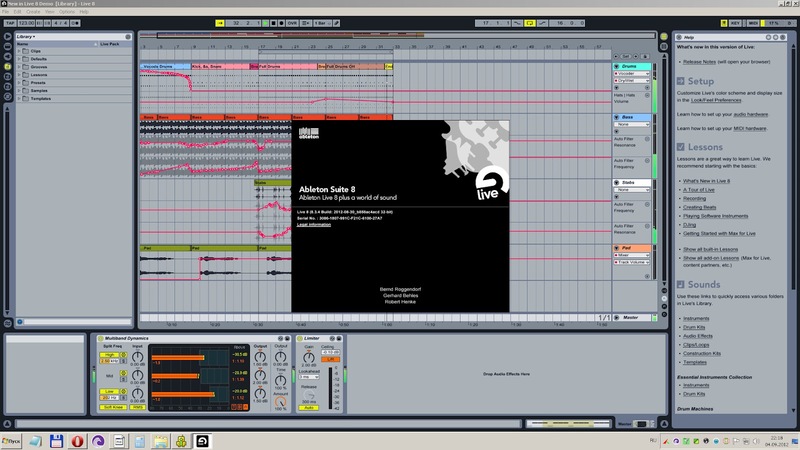 Live 8.3 and Suite 8.3 enhance the Ableton vision of creative, real-time digital music with a wealth of new techniques, effects and most-wanted workflow improvements. These include a new groove engine, revamped warping techniques, live looping, five new effects (including the Ableton Vocoder), crossfades in the Arrangement View, group tracks and a reworked MIDI editor. 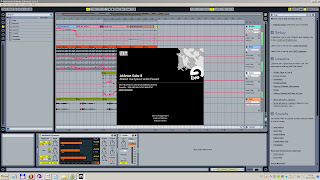 Ableton Suite 8 includes all that plus a massive, inspired sound library and all the instruments a musician could hope for, including a wide range of synths, a sampler, electric and acoustic drums (new: Latin percussion), mallets (new: Collision), numerous sampled instruments and a new, even-mightier Operator. - The word size of the Live application is now shown in the splash screen. - Live is now showing the email address of the currently authorized user account in the "About" window. - Improved the authorization dialogue when launching Live as a Trial version. - Fixed a bug which could cause a "memory corruption error" when launching Live. - Fixed a memory leak which could occur when using the "Complex" warp mode. - The Session View selection frame of the APC40 or Launchpad could get stuck after deleting scenes or undoing the creation of scenes. - Live device parameters would no longer update correctly after deleting a Max for Live device which was mapped to that parameter via live.remote~. - Fixed a problem with the Max for Live engine, which would cause Live to freeze when setting an audio buffer size smaller than 21 samples. - Fixed a graphical glitch in the Session- / Arrangement View amoeba after toggling views (mixer, crossfader, etc.). - Fixed a problem with the Windows installer which could lead to an incomplete installation on some computers. Symptom: The - Live application would not launch at all and an error message "The application has failed to start due to a side-by-side configuration error" would be shown instead. - Under certain conditions, the playback position in audio clips was incorrect after changing clip start markers in unwarped clips and then re-enabling 'warp'.